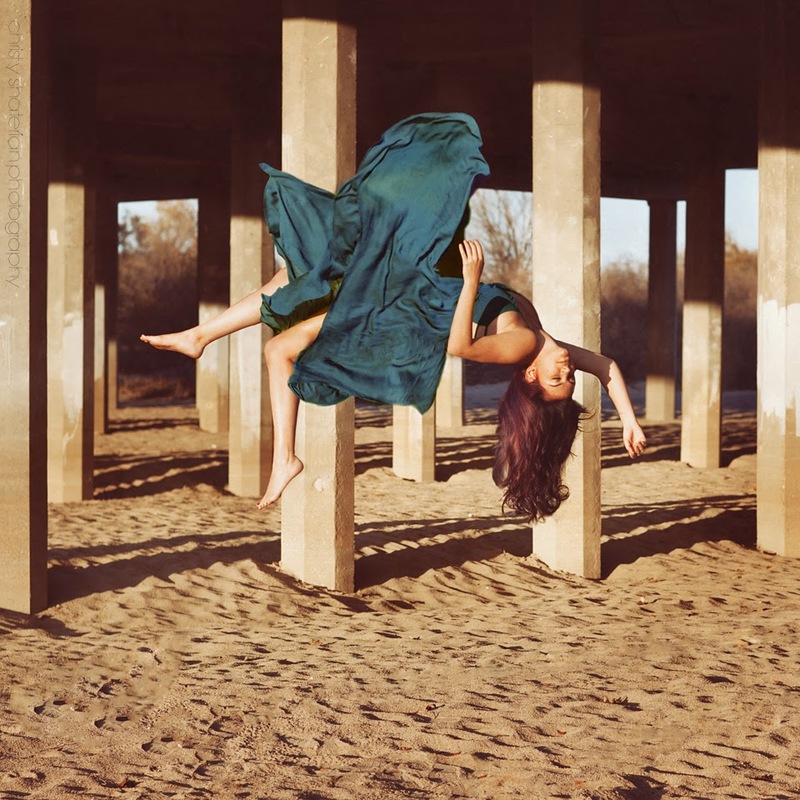 My dad and fellow photographer, Crosby, and I, with the assistance of my boyfriend, went out to create a levitation image while I was in Bakersfield, CA. My dad came up with the idea to shoot in a river bed under a bridge with the columns. He had scouted out the location and we hauled our equipment through the sand to start photographing. This was the first time either of us had attempted to create this type of image, so needless to say there was a lot of laughter at the process. Working on the poses, holding the poses, me scared of falling and therefore yelling “I’m going to fall!” while my boyfriend yelled back that he “had me”, all while my dad clicked away and captured it all. It was pretty cold, so I had to try and do my best ‘I’m a model and weather doesn’t affect me’ look. I’m very proud of how it turned out and can’t wait to continue creating these!